We understand that some people cannot part from their usual coffee brand; that’s why we created Rapid Fire Creamers. These delicious powdered creamers contain a mix of MCT oil, coconut oil, grass-fed butter and a pinch of Himalayan pink salt. Rapid Fire Creamers are tasty, nutrient-dense beverage boosters that help transform your morning coffee into an important part of your healthy diet. These soy and gluten free alternatives are your “go to” creamers that add a smooth taste to your beverage with more nutrients than traditional creamers. Plus, these instant and convenient creamers do not need refrigeration! 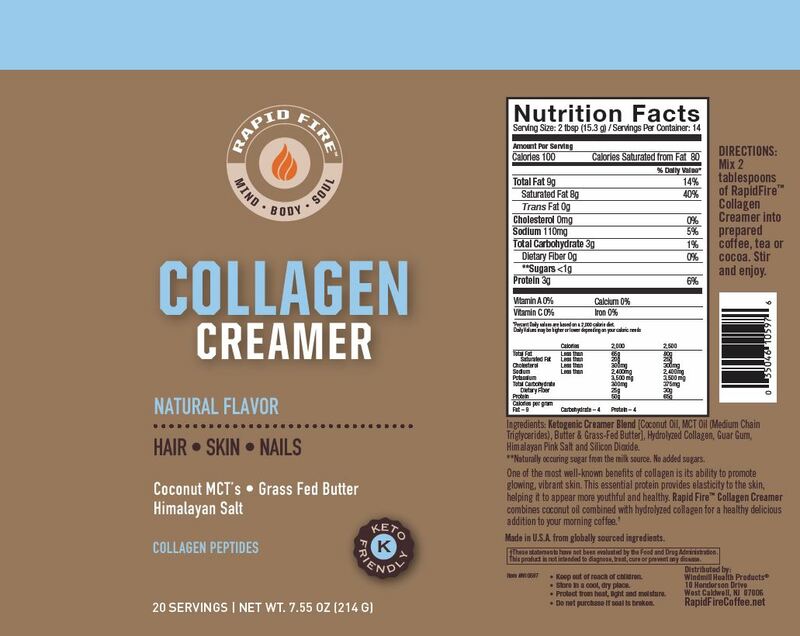 Collagen Creamer combines the Original Ketogenic Creamer formula with hydrolyzed collagen to promote healthy hair, skin and nails. Collagen is the body’s most important building block and contains approximately 30% of the proteins in our body. Collagen is a significant structural protein that ensures the structure, elasticity and regeneration of all our connective tissues, including skin, tendons, ligaments, cartilage and bones. 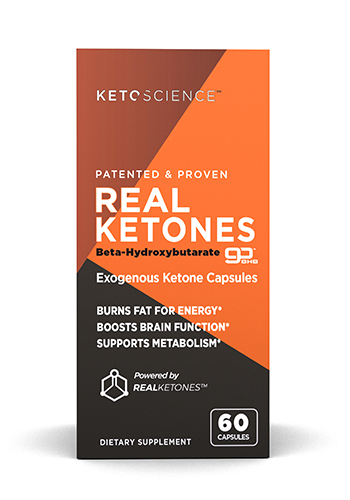 Collagen peptides are more bioavailable and better absorbed into the bloodstream than collagen, since peptides are much shorter chains of amino acids. The collagen peptides are naturally flavored, and don’t affect the taste of the creamer. 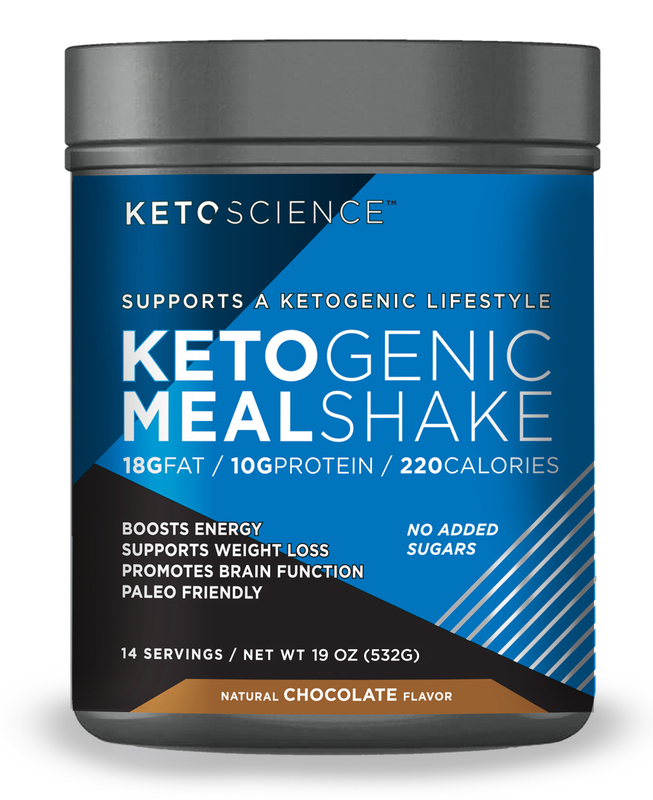 Other Ingredients: Ingredients: Ketogenic Creamer Blend [Coconut Oil, MCT Oil (Medium Chain Triglycerides), Butter & Grass-Fed Butter], Hydrolyzed Collagen, Guar Gum, Himalayan Pink Salt and Silicon Dioxide. **Naturally occuring sugar from the milk source. No added sugars. 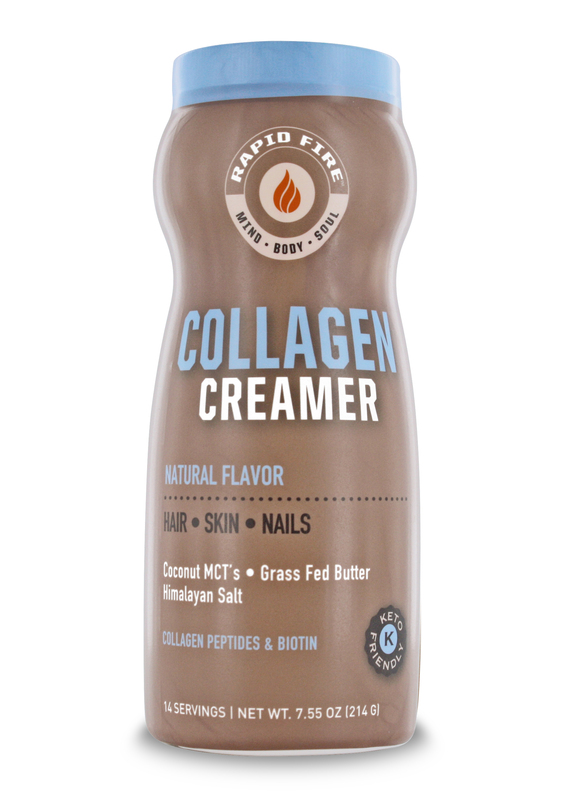 SUGGESTED USE: Mix 2 tablespoons of RapidFire™Collagen Creamer into prepared coffee, tea or cocoa. Stir and enjoy.